Its not all hard work here at Finca La Reina. There wouldn't be much point in all work and no play, and as the saying goes... makes Jack a dull boy... not to mention Jane and Steve. So.... when fiesta's happen to coincide with a family visit (and not just a holiday but a honeymoon) we made the most of it. 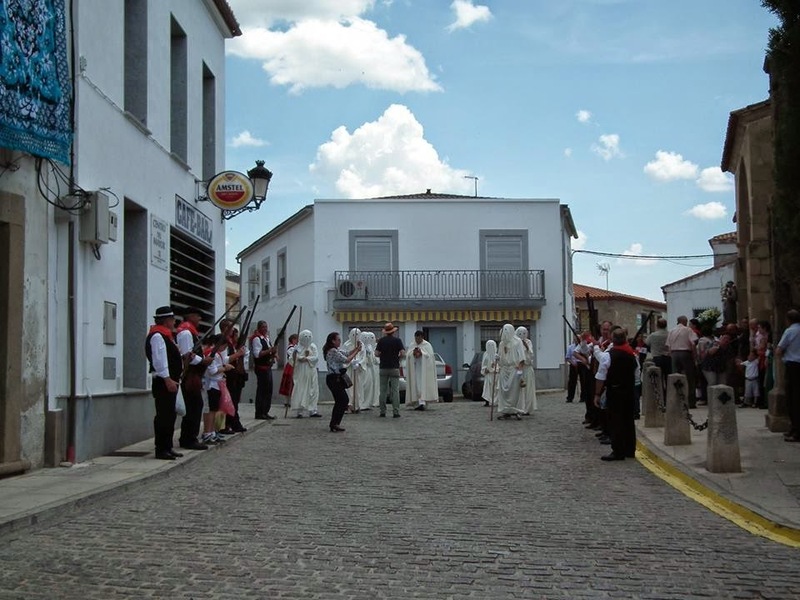 It was Dia de la Maza in Almoharin yesterday...as well as my father's 2 week wedding anniversary and since he is staying with us for his honeymoon... it was lovely to have a celebration laid on with no extra effort required other than turning up! To put you in the picture as regards my father's marital status. 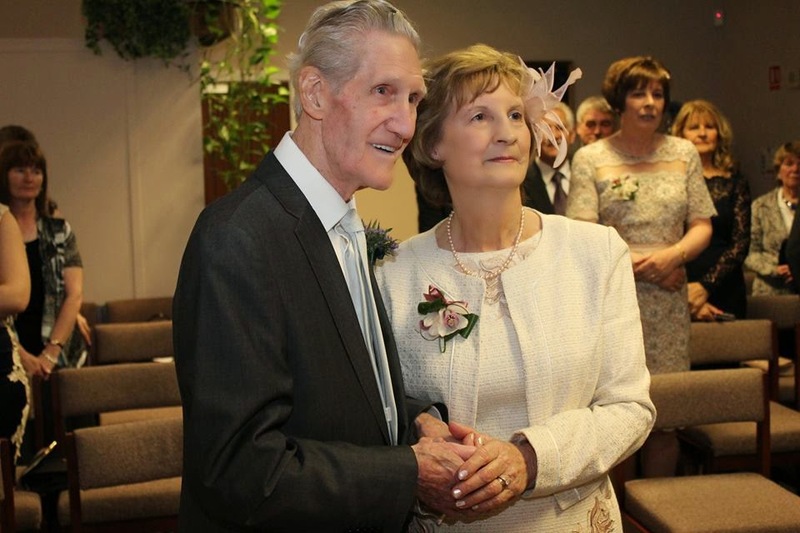 He will be 91 in July this year and 2 weeks ago he married Maggie his sweetheart who is a good 15 years younger than him. Congratulations to them both! The fiesta begins as always here in Spain with a religious service. 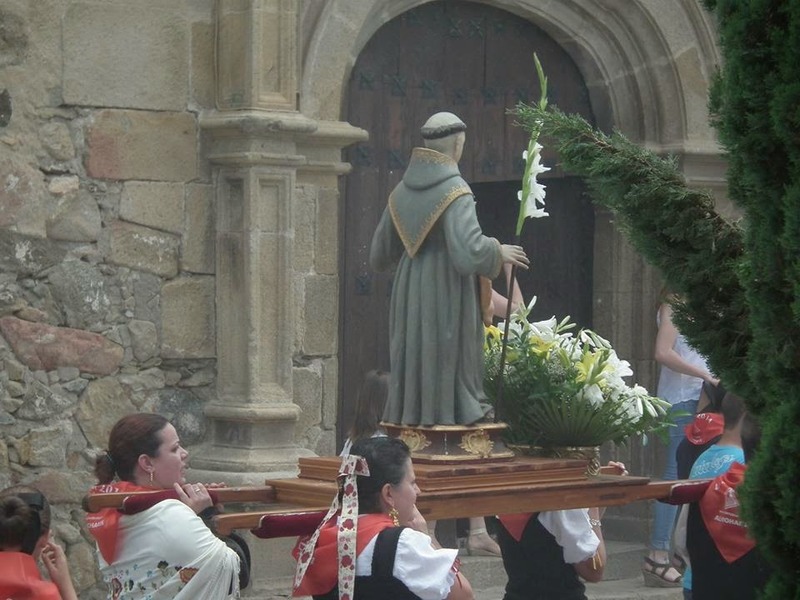 After the service St Anthony was brought out of the church accompanied by a guard of honour of Penitents and hunters dressed in our own National Costume (not the flamenco attire that you will be used to seeing in Andalucia). 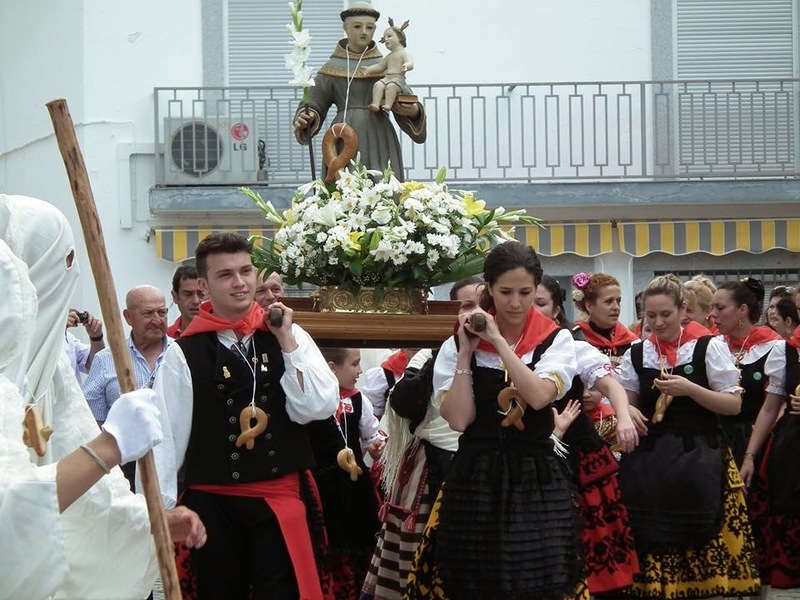 St Anthony is processed around the village to shouts of Vive San Antonio and the firing of guns. Very loud... very colourful... and more than a little confusing. Bread rolls of a twisty shape were handed out and worn around the neck.... to be eaten later. After the procession there is food (gazpacho & pork stew made with loads of smoky paprika) along with wine and tinto verano - all free... followed by music and dancing. 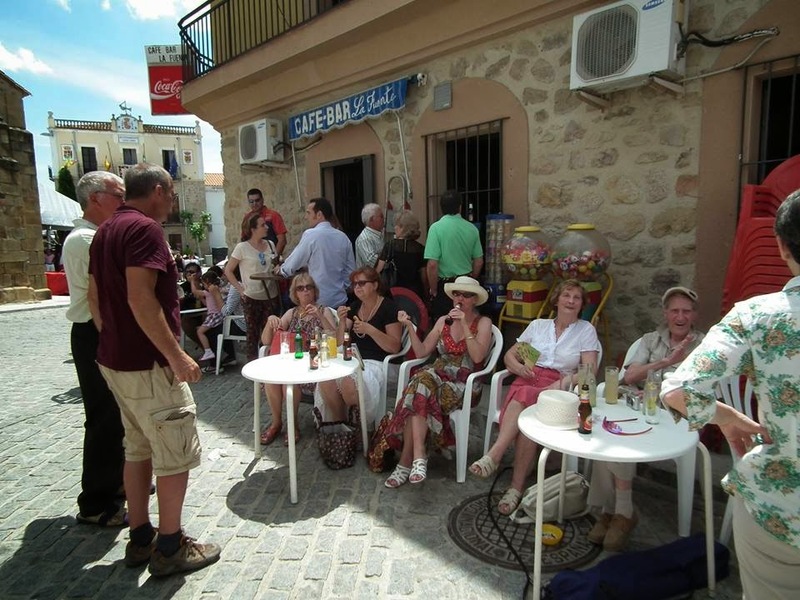 It's a good time to meet up with friends who have all been working hard on their finca's like us and could do with a break. Time to pick brains about planting times, the weather... unseasonably hot this year and in true farmer fashion whatever the weather... there will be something to lament! We left the festivities in full swing - you can only take so much of a good thing lol! The Spanish will be dancing till dawn and we promise ourselves that one year we will too. With temperatures at 33C and the alcohol flowing the spirit was willing but the flesh was weak. A cup of tea and an afternoon siesta seemed to be much more appealing - and not just for our older visitors. 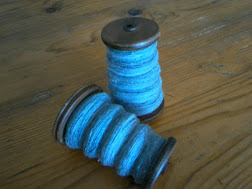 Hey great blog, got the link through Martins newsletter. I own a flat (piso) about 20 mins south of you in Medellin, I spend a lot of time over there for the fishing on the Guadiana...... You met the crazy Dutchman from Almoharin, Jasper, yet? he sorted the legals for my purchase. Great area and great way of life over there, good luck and enjoy. You will know Jasper when you see him, about 6ft 6ins and thin as a rake, I believe he has moved into his new house on his finca outside the village now........... As an aside, the lady who writes your linked "life after money" blog actually lives in my village in N. Lincolnshire, next door to my son as it happens......... small world or what!!........... shes crazy too but shhh. It certainly is a small world Tony (as Mr Disney once said... again and again...) the delightfully eccentric (which is what I think you meant to say) Ilona, who writes Life after Money came to visit me in Oxfordshire the year before we moved to Spain. Perhaps its just that like-minded people gravitate towards each other.